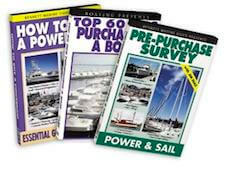 Have been seeking information on various or average houseboat fuel consumption numbers at cruising speed. 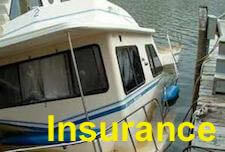 I am looking for houseboat fuel consumption in the 35' to 45' range. I am aware of various factors that could affect consumption. I am looking for real life experiences for houseboaters that have taken extended cruises. Well Joe, I have always heard people mention that houseboats get @ 1/2 to 1 mile per gallon (MPG). To give you some of our real life gallon per hour numbers, a 45 foot aluminum barge style houseboat with a single 3.0 Liter 4 cylinder gas engine, and it would burn @ 2 gallons per hour (GPH), and do @ 6-7 knots (7-8 MPH), running at @ 2500 RPM. Possibly some of our readers are interested in reducing their houseboats fuel consumption, or getting more mileage per tank of fuel, than have a look at our most popular Houseboat Mileage Tips. Lastly, hopefully some of our readers will share and post comments about their real-life houseboat FUEL CONSUMPTION or mileage numbers. Solarhouseboat is a 34' Trojan houseboat powered by a 36 volt motor running on 24 volts. It has a 115 hp Johnson outboard for a rudder. 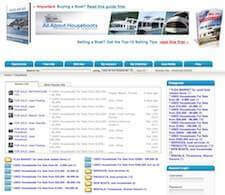 Solarhouseboat is preparing the travel the Great Loop beginning in September or October 2013. We might be slow; but it's free! When we run our 115 Johnson outboard for more power and speed we run it in tandem with our electric motor. 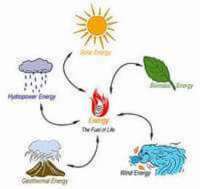 Our mileage depends on current and wind. When we run the 115 Johnson outboard alone we can average approximately 3 mpg @ 5-6 mph unless there is strong current or wind against us. I have 40' houseboat with a 4 cyl Detroit diesel. We go about 7 knots depending on current in the ICW at 1700 rpm and use about one gallon per hour. This is about as economical as possible. Make your own luck and live life to the max. Average 40 to 50 foot cruising type houseboat (Gibson, Holiday Mansion etc.) with twins. Hull speed up to 1 mile per gallon - on plane 1/2 mile per gallon or less. 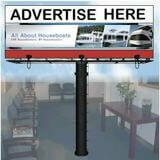 A houseboat is usually a displacement hull, meaning that it must push water away to go across the water. Some houseboats have planing hulls, but require huge amounts of power to "get up on plane". Displacement hulls have a theoretical maximum hull speed, and once you reach this speed the vessel will not go any faster. The speed for a 35' hull is 5.9 knots, a 40' is 6.3 knots, and a 45' is 6.7 knots. For optimum fuel efficiency, chose 80% of this maximum speed to obtain the best gas mileage. Most houseboats reach this speed with the engine RPM set to between 2000 and 3000 RPM. On a "big block" V-8 engine this is just before the extra 2 barrels of the 4 barrel carburetor cuts in. 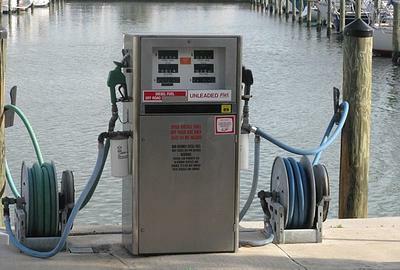 Any marine engine manufacturer's technical support department can give you fuel consumption numbers for a given RPM. Check the speed with a GPS. My 67' houseboat with twin 4-cylinders uses 5 gallons per hour at 2400 RPM. 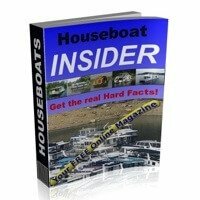 Well Capt Bill, I wanted to thank you personally for providing some great information, and real life fuel consumption numbers for houseboats. I agree with you, since we run our houseboat at @ 2500 RPM and she cruises nicely at @ 6 knots. Remember the "golden rule", the faster you want to go, the more it costs in MPG (Miles Per Gallon).